Sulzer, a specialist in pumping solutions, rotating equipment maintenance and services as well as separation, reaction, and mixing technology, sees bright prospects for the company in the Middle East following a pick-up in project activity brought about by a rebound in oil prices. 'We do see the market bouncing back; maybe not to the level of 2012-13, but it is a positive revival,' says Ramann S, Director, Sales (Separation Technology), Middle East and EPC Sales, Sulzer Chemtech Middle East. 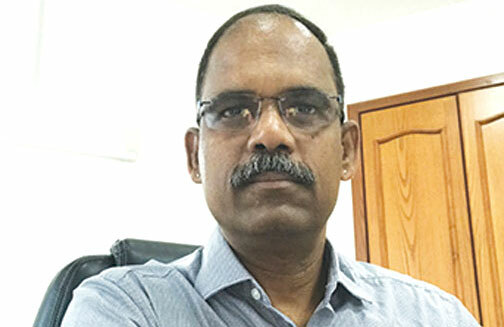 In an interview with OGN, Ramann says Sulzer, which was set up some 185 years ago, offers to the region high reliability and lower operational cost coupled with generations of experience and innovation on a wide base of applications. The Swiss company, which serves clients worldwide through a network of over 150 production and service sites and has a strong footprint in emerging markets, will show case its latest developments in separation technology and key solutions in pumping technology and rotating equipment services for the entire hydrocarbon value chain, at the forthcoming Adipec. Sulzer Chemtech, the market leader in mass transfer and static mixing, will present the latest developments in processing technology for gas/liquid and liquid/liquid separation for the oil and gas industry, including columns, column internals, mist eliminators and separator vessel internals. Of particular interest will be the broad range of static mixers, particularly the SMX and SMX plus range for high-viscosity fluids. This equipment is designed to optimise the mixing processes and residence times while minimising pressure drops. As a result, plant operators can benefit from highly efficient and reliable equipment that yields homogenous and consistent products. Going to specifics, Ramann says one of the notable exhibits will be the Inline Separators, which can revolutionise how oil and gas platforms, particularly offshore ones, are built. 'We can actually replace the large separators vessels currently used, thereby saving space and weight,' he says. Onshore, new gas plants and explorations platforms can benefit from the compactness of the Inline Separators, he says. Moreover, existing offshore platforms will find it easier to reinsure if they shed extra weight and size by using the new Inline Separators, he adds. Another key exhibit will be cMIST, a novel, compact dehydration system for reducing size and weight, for onshore and offshore applications, which is licensed from ExxonMobil Upstream Research Company (EMURC) to Sulzer. cMIST efficiently removes water vapor present during the exploration of natural gas. This inline technology reduces the size, weight, footprint and cost of the gas dehydration system and can be deployed at both land-based and offshore natural gas production facilities. Removing the inherent moisture through the use of dehydration technology — typically accomplished by using large and expensive dehydration towers — reduces corrosion in the downstream equipment. Sulzer will also be showcasing VIEC (vessel internal electrostatic coalescer), a technology for enhancing liquid-liquid separation by using alternating high voltage electrical fields. The VIEC can be installed in new separators or retrofitted into existing ones without any hot work. The company will be targeting the upstream market at Adipec, says Ramann adding that they are looking at a business volume of close to $50 million for supply and services for the internals and these technologies. Put together with the other divisions like Pumps Equipment and Rotating Equipment Services the market will be more than $100 Million for Sulzer. 'With the market coming up we expect to achieve our ambitious growth plans,' he says. The company’s aim is to develop the Middle East business and make it a centre of excellence. 'While the detailed engineering and order execution activities can be handled from India, where the company has one of the biggest operations in Asia, value added process simulation studies will be offered in the Middle East,' he says. In the region Sulzer Chemtech caters to the entire value chain right from upstream to downstream, he says. 'For us it is not about just supplying equipment. We offer tailor-made solutions suiting customer needs. Our engagement with the customer starts by identifying their problem, tweaking process design so that it offers the best solution, and then engineering fabrication, supply and installation,' he explains. The company’s field services team at its large base in Jubail can take up the full installation of any of their projects and perform the full installation scope with expertise and the vast application knowledge it possesses, he says. In Bahrain the company’s clients include Bapco, Banagas, GPIC and Tatweer. In Saudi Arabia, the major clients include Saudi Aramco, Sabic, Saudi Kayan and in the private sector, Farabi Petrochemicals. Talking about technology development, Ramann says Sulzer works closely with licensors to develop specific products and technologies suiting customer needs. For a large customer in Saudi Arabia, in their Ethylene Glycol plant Sulzer has introduced WFE (wiped film evaporator) to enhance glycol recovery. This concept is now being extended to two other plants as well. 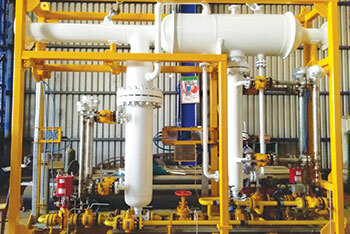 While for Bapco Sulzer can supply internals for the refinery columns, in the case of Banagas, it would be the internals for the gas dehydration units. Referring to Bahrain’s recent oil and gas discovery, he says it looks promising, but needs a lot of investment to extract the hydrocarbons. Considering that additional oil will be at the kingdom’s disposal, the Bapco Modernisation Programme is in the right direction, he adds.